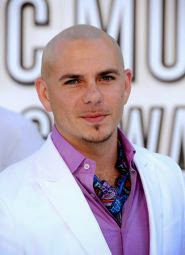 Pitbull released a new song in Spanish, "piensas (Dile La Verdad). The track has the support of Gente De Zona, known for collaboration in the hit "Bailando" by Enrique Iglesias. The duet will integrate on the new rapper’s new album, "Globalization". The Pitbull’s eighth studio album hits stores next Monday (24) and already has the singles "Fireball (Feat. John Ryan)" and "Time Of Our Lives (Feat. Ne-Yo)".